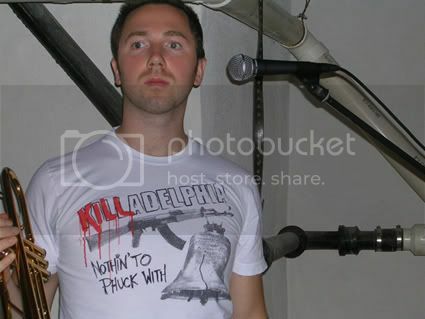 See more pics of Killadelphia after the jump. 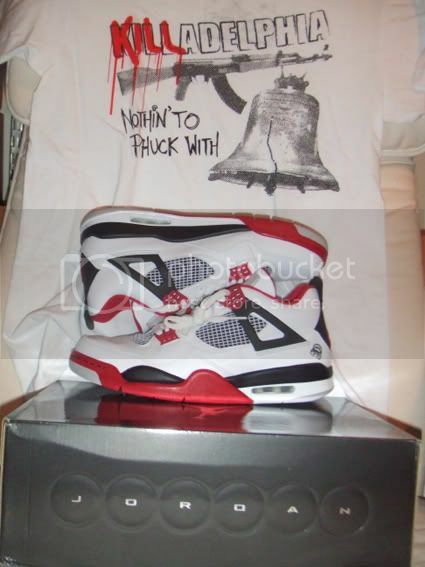 Killadelphia is designed to match your Jordan IV Mars Blackman kicks. 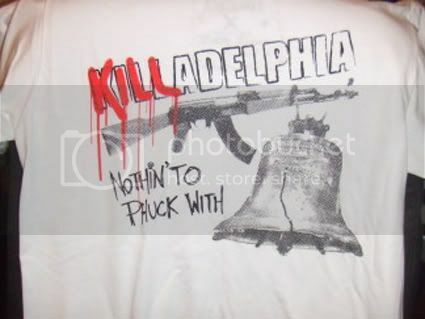 Jimmy James from Killadelphia is the co-creator of this Ultra-rare tee. Nice and crispy.